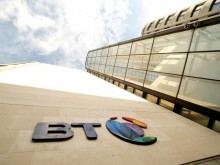 Football fans will get the chance to see last season’s Premier League top six in BT Sport’s opening selection of eight exclusively live Premier League games this coming season. Live matches include the clash between title contenders Chelsea and Manchester City in September, plus Arsenal and Manchester United taking on Stoke City at the Bet365 Stadium. 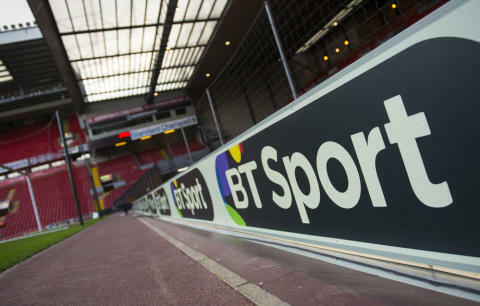 BT Sport’s Premier League coverage begins on the south coast as league debutant’s Brighton & Hove Albion take on Pep Guardiola’s Manchester City at the Amex Stadium on Saturday, 12 August. The following weekend will see the first of two games on BT Sport where the expected leading lights take on the challenge of Stoke City away. Arsenal visit Mark Hughes’ men on 19 August with the visiting side hoping to get the season off to a good start after they missed out on finishing in the top four last season. Meanwhile, Jose Mourinho will take the Manchester United to Stoke City on 9 September, following the international break. Manchester United’s second match at Old Trafford this season is against Leicester City and will be broadcast on BT Sport on Saturday, 26 August at 5.30pm. Football fans will also see action from Wembley on Saturday, 16 September with Tottenham Hotspur playing home matches there for the duration of the 2017/18 season. Mauricio Pochettino’s team will take on Swansea City as Paul Clement’s men look to improve on last season’s 15th place. With matches coming thick and fast as the season gets underway, Leicester City v Liverpool will welcome BT Sport cameras on Saturday, 23 September, for a 5.30pm kick off. The final weekend of the month will see two title contenders Chelsea and Manchester City battle it out at Stamford Bridge with Antonio Conte looking to build on a title-winning season in his first season in English football. The next day will see BT Sport focus on the Emirates as Arsenal welcome Brighton & Hove Albion for the first time ever in the Premier League. The match kicks off at midday on Sunday, 1 October. Complementing the live top-tier football action in August, BT Sport will screen English football’s traditional curtain-raiser, the FA Community Shield between Arsenal and Chelsea, on Sunday 6 August, kick off 2pm. Fans can also watch Liverpool’s two-legged UEFA Champions League play-off in late August as they attempt to get back in the elite European competition for the first time since the 2014/15 season. Also setting the scene on the new season will be coverage of the UEFA Super Cup clash between Real Madrid and Manchester United on August 8, kick off 7.45pm. During the coming season BT Sport channels will once again show 351 UEFA Champions League and UEFA Europa League games exclusively live. This is in addition to selected matches from Scotland’s Ladbrokes Premiership, the Emirates FA Cup and European domestic football.